Becoming just the second person of Filipino heritage to serve as a voting Representative in Congress, Steve Austria won election to the U.S. House of Representatives amid the worst financial crisis since the Great Depression.1 As a proponent of shrinking government services and spurring small business growth, Austria quickly worked his way onto the influential Appropriations Committee, where he could tend to the economy of his southwestern Ohio district. But when Ohio’s congressional delegation shrank by two seats during reapportionment after the 2010 Census, Austria’s House career ended abruptly. Steve Austria was born in Cincinnati, Ohio, on October 12, 1958, to Clement and Jean Brockman Austria. His father, a medical doctor, was born in the Philippines and fought alongside Filipino rebels and General Douglas MacArthur against Japanese forces during World War II. Clement later immigrated to the United States from Tiaong, Quezon, to the Cincinnati area, where he attended medical school; Jean Austria worked as a nurse.2 By observing his father’s work on the Greene County Central Committee of the Republican Party, Steve Austria became interested in politics and “realized that through public service I could have a positive impact on people’s lives.”3 The oldest of nine children, Austria grew up in Xenia, Ohio, a community about an hour’s drive northeast of Cincinnati. In 1977 he graduated from Carroll High School in Riverside, Ohio, and in 1982 earned a bachelor of arts degree in political science from Marquette University in Milwaukee, Wisconsin. Austria worked for more than 15 years as a financial advisor. He married Eileen Crotty, whom he met in the 1980s while putting up campaign signs during an Ohio state senate election.4 The couple raised three sons: Brian, Kevin, and Eric. When nine-term incumbent U.S. Representative David L. Hobson announced his retirement from Congress, Austria joined the race for the vacant seat. The district, which was adjacent to Republican Leader John Boehner’s Cincinnati-centered district, encompassed six counties (and parts of two others) in the southcentral portion of the state, from the Miami Valley region near Dayton to just south and east of Columbus. The district was a mixture of rural and residential areas, with industrial and agriculture businesses; it was also home to several military facilities, including Wright–Patterson Air Force Base and the Springfield Air National Guard Base. At the opening of the 112th Congress (2011–2013), after Republicans captured the House majority, Austria moved to the exclusive Appropriations Committee and gave up his prior assignments. On Appropriations, Austria held seats on three subcommittees: Commerce, Justice, Science and Related Agencies; Military Construction, Veterans Affairs and Related Agencies; and State, Foreign Operations and Related Programs. In early 2009, in the first major vote of his career, he joined with his Republican colleagues who unanimously opposed a nearly $800 billion economic stimulus bill (which the Democratic majority passed). His comments to the Columbus Dispatch at the time compared the stimulus bill to the Keynesian economics of the New Deal. He drew criticism for his claim that President Franklin D Roosevelt “tried to borrow and spend, he tried to use the Keynesian approach, and our country ended up in a Great Depression. That’s just history.” He later withdrew the statement, insisting that he meant to convey the idea that Roosevelt, who was elected three years after the crisis began, implemented policies that did not help end the economic crisis.21 While Austria voted with his party on most major issues, he was one of several dozen Republicans to vote for an expansion of the State Children’s Health Insurance Program (S-CHIP). 1Lorraine Tong, “Asian Pacific Americans in the United States Congress,” Report 97-398, 7 May 2013, Congressional Research Service: 2. 2Almanac of American Politics, 2010 (Washington, DC: National Journal Inc., 2009): 1180. His mother’s name is referenced in “Austria to Adjust to Quick Pace,” 9 January 2009, Filipino Reporter: 6. See also “A Win by Austria Will Make History,” 8 August 2008, Filipino Reporter: 1. 3Politics in America, 2012 (Washington, DC: CQ-Roll Call, Inc., 2011): 771. 4Mary McCarty, “Steve Austria Looks Back on Career in Congress,” 31 December 2012, Dayton Daily News: n.p. ; Almanac of American Politics, 2010: 1179–1181. 7Almanac of American Politics, 2010: 1180. 8McCarty, “Steve Austria Looks Back on Career in Congress,” Almanac of American Politics, 2010: 1179–1181. 9Politics in America, 2010 (Washington, DC: Congressional Quarterly Inc., 2009): 793. 10Almanac of American Politics, 2010: 1181. 11Almanac of American Politics, 2012 (Washington, DC: National Journal Inc., 2011): 1280. 12Office of the Clerk, U.S. House of Representatives, “Election Statistics, 1920 to Present,” http://history.house.gov/Institution/ Election-Statistics/Election-Statistics/. 13Sean Golden, “Austria to Fill Seat Vacated by Retiring Rep. Hobson,” 5 November 2008, Lancaster Eagle Gazette (OH): 1A. 16Joe Giessler, “Steve Austria Coasts Past Conner to Second Term,” 3 November 2010, Lancaster Eagle Gazette (OH): n.p. 17Politics in America, 2010: 793. 18Politics in America, 2012: 770. 19Congressional Record, House, 110th Cong., 1st sess. (11 March 2009): H3328. 20Congressional Record, House, 110th Cong., 1st sess. (31 March 2009): H4245; see also Congressional Record, House, 111th Cong., 1st sess. (19 July 2011): H5169. 21Politics in America, 2010: 793; Politics in America, 2012: 770–771. 22See, for example, William Hershey, “Keep Guantanamo Open, U.S. Rep. Austria Says; Legislator Had Just Returned From Fact-finding Mission,” 12 January 2010, Dayton Daily News: A4. 23“Ohio Republican Rep. Steve Austria Retiring,” 30 December 2011, Washington Post, https://www.washingtonpost.com/blogs/the-fix/post/ohio-republican-rep-steve-austria-retiring/2011/12/30/ gIQAECkwQP_blog.html (accessed 20 March 2015); Jonathan Strong, “How Rep. Steve Austria Became a Sacrificial Republican,” 17 January 2012, Roll Call: n.p. 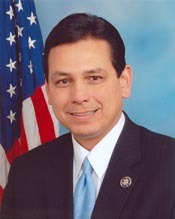 25Josh Lederman, “Ohio Rep. Steve Austria to Retire, Sparing GOP Primary Showdown,” 30 December 2011, The Hill: n.p. ; Alex Isenstadt, “Departing Ohio Rep. Steve Austria Knocks Boehner,” 4 January 2012, Politico: n.p. 26Congressional Record, House, 112th Cong., 2nd sess. (11 December 2012): H6691. 27Republican National Committee, “RNC Launches National Advisory Councils,” press release, 3 March 2014, https://www.gop.com/rnc- launches-national-advisory-councils/ (accessed 27 August 2015). "Steve Austria" in Asian and Pacific Islander Americans in Congress, 1900-2017. Prepared under the direction of the Committee on House Administration by the Office of the Historian and the Office of the Clerk, U.S. House of Representatives. Washington: Government Publishing Office, 2018.